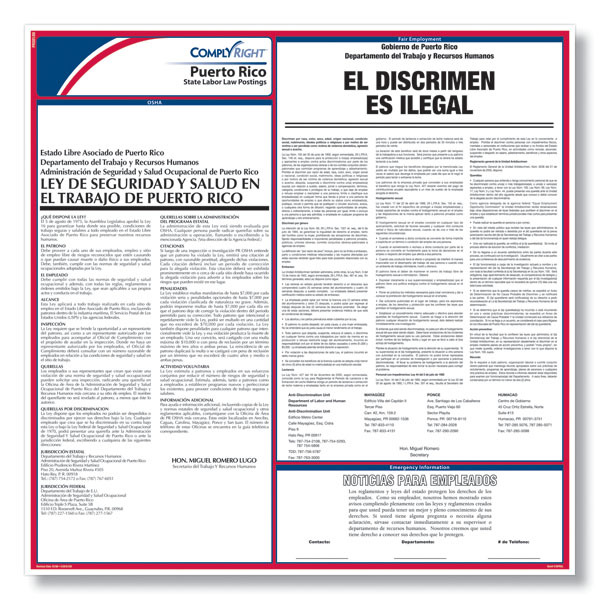 One simple poster is all it takes to stay in compliance with the Puerto Rico's labor law requirements. 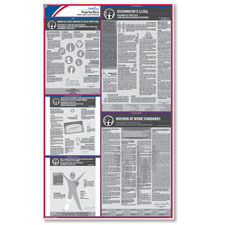 Our posters maintain the exact same size, font types to make following mandated postings a cinch. The Puerto Rico Fair Employment poster has been updated with additional information regarding the rights of nursing mothers. 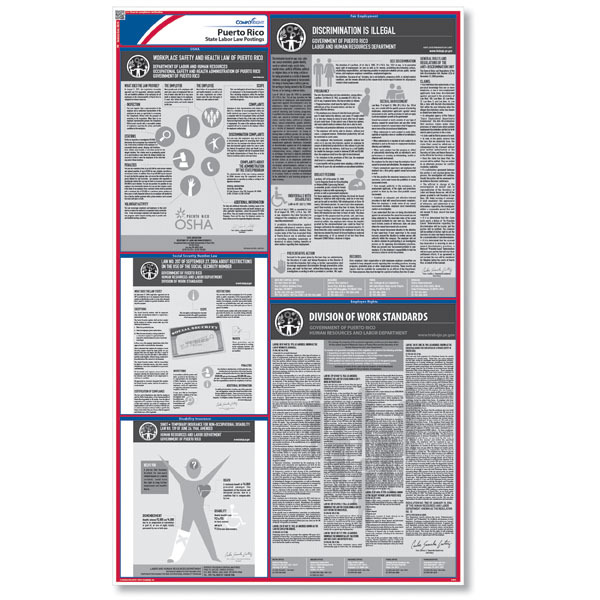 Poster size - 24" x 39.5"
In addition to your poster(s), you may also receive small individual state posters. These postings will help you to comply with certain requirements that you have to meet according to your type of workers' compensation coverage, unemployment insurance and your state's smoking laws.